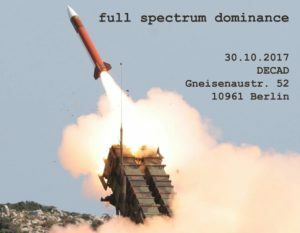 The ‘Full Spectrum Dominance’ film screening and discussion will take place at Berlin’s Decad on October 30. The event is part of Decad’s Now, How? series (number two of four) that is organised by William Kherbek in collaboration with Decad’s lecture program. 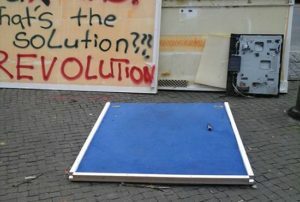 The evening will consist of a screening including films by Louis Henderson, Arjuna Neuman, Jaakko Pallasvuo, and Özgür Kar that look explore politics and representation, followed by a live-video in conversation with a “journalist who writes pseudonymously ” for a number of high profile magazines and publications. Doggerland is presenting Techno Feudalism and The Tragedy of the Commons at London’s Res on November 29. Held by curator Emma Gradin and lecturer/social movement organiser Dr. Sofa Gradin (and other guests), the evening will host an open discussion with artist and writer William Kherbek who will be discussing “some of the limitations this generation faces being so deeply entrenched within a neoliberal and precarious situation’ and other ideas included in his essay ”Techno Feudalism…'”, which was first published in Issue 1 of Doggerland Journal (2016). Kherbek has previously published ‘Ecology of Secrets’ (2013) and forthcoming ‘UltraLife’ via Arcadia Missa. 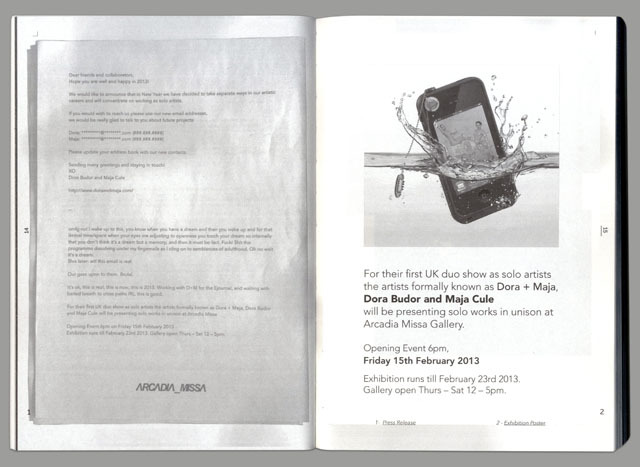 Doggerland focuses on artist-led activity throughout the UK to conduct collaborative research. 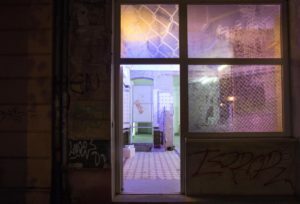 Berlin’s HORSEANDPONY will host an evening of readings and encounters on June 29. In and amongst the work and solo show by Nick Jeffrey, Dream Divider curated by Carolina Ongaro of Jupiter Woods, several artists will read and be present for a chat in an informal event that rounds up the final week of Jeffrey’s exhibition. Speaking will be writers and artists William Kherbek, Bitsy Knox, Wieland Rambke, Matilda Tjäder and Alex Turgeon. Dream Divider, which captures Jeffrey’s practice by emphasising his observations of gaps and blank spaces as they are filled in, and his tendency towards filters, touches and additions seems like a fitting place to experience readings inside. William Kherbek, ‘Ecology of Secrets’ (2013). Courtesy the artist and Arcadia Missa, London. Value is malleable. Almost nothing has it intrinsically, which makes it an irresistible subject for artists who constantly feel at the mercy of vast and insidious structures of economy: recipes for sleepless nights. 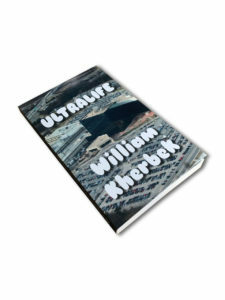 Understanding the neoliberal debt economy in relation to the creative industries seems as though it’s an attainable goal, and the desire to do so means that niche publications such as Fulcrum’s Real Estates: Life Without Debt become best sellers. If enough theorists can lay out the reasons that you’ll never be able to afford your own home in a stylishly minimal, yet expensively tasteful book, maybe everything will be okay? 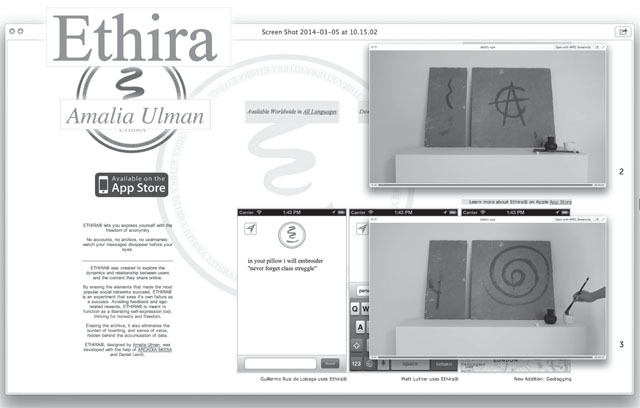 By contrast the release of the first issue of Volume 2 of quarterly e-journal General Fine Arts, published by Version House, is part of an obsession with the competing forces of work and labour in relation to its title-theme ‘Values’ in art. In his editorial for the online publication, editor Tom Clark notes that the contributors address the inadequacies in systems that they repeatedly come up against. Though the compilation has no ‘specific alternative’ to the questions it raises around ‘the value in crisis’, we’re presented with a collection of writing, audio and illustration that thinks diversely around autonomy and commodity, ethics and debt, labour and work, with all the messy facets of self-esteem, privilege, and self-censorship alongside. 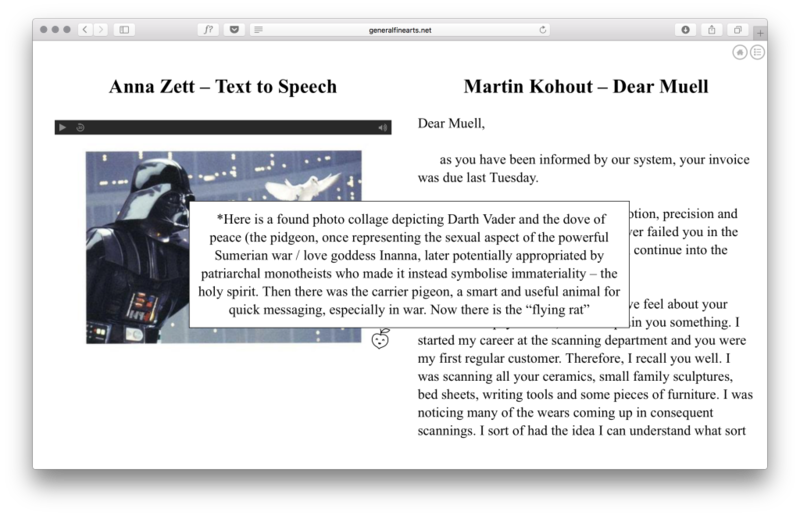 Anna Zett, ‘Text to Speech’, Martin Kohout, ‘Dear Muell’. Courtesy General Fine Arts, London. By breaking down the disclosure of mass surveillance programmes by NSA whistleblower Edward Snowden as a matter of encryption/decryption, John Hill’s ‘Value’ delves into the dichotomies of public/private within the arts and the relationship between different players in the network. Following this with a mockup of a Snowden fanzine by Karisa Senavitis and Kevin O’Neill of Will Work for Good, the craftily re-purposed GCHQ-branded paper is a bright spot in terms of curation. Only Josefine Wikström really brings up the idea of privilege in the art world –a subject so toxic and nefarious that it fuels endless rumours. It seems like an issue smoothed over by others, where in fact it complicates their otherwise delicate points about the trading of one’s own worth in an unfair labour market. Marina Vishmidt’s ‘Anti-Work, Anti-Art’ asks what the unseen side of production means in the labour-politics of the arts, thinking around the inadequacies of working conditions for people in the industry. Her feminist analysis contours the chasm in-between the conditions of production and sale, and she urges for a radical solution that goes further than the Wages for Housework campaign by Silvia Federici. This also seems to be the subtext behind Beatrice Loft Schulz’s ‘Routine 4’, which addresses the oikos –housework –that makes artistic work possible. The problems around structuring your day like the ultra-successful artist she references are particularly jarring to any precarious worker, turning her meticulous performative tone into critique itself. Even though many contributors offer opinions and experiences around exchange value, the ideas around what does not just stop at the notion of stable ownership falter against the idea that ownership and agency today is constantly in flux. By thinking around the ideas of value and values in the abstract, tensions between waged and unwaged labour, and the effect of affective labour are drawn out in less essayistic ways. Eleanor Ivory Weber. Courtesy General Fine Arts, London. Another form of writing that is tricky to pull off is the open letter: you risk sounding holier-than-thou (Sinead O’Connor’s misaligned letter to Miley Cyrus, for example) or explaining too much that the ‘recipient’ would already know. But Martin Kohout’s ‘Dear Muell’ gets the balance right with increasingly clumsy prose; a scrawling inexpressibility of rage that goes hand in hand with slight incoherence, and is all too relatable for it. manuel arturo abreu, ‘UNTITLED (LABOR)’. Courtesy General Fine Arts, London. 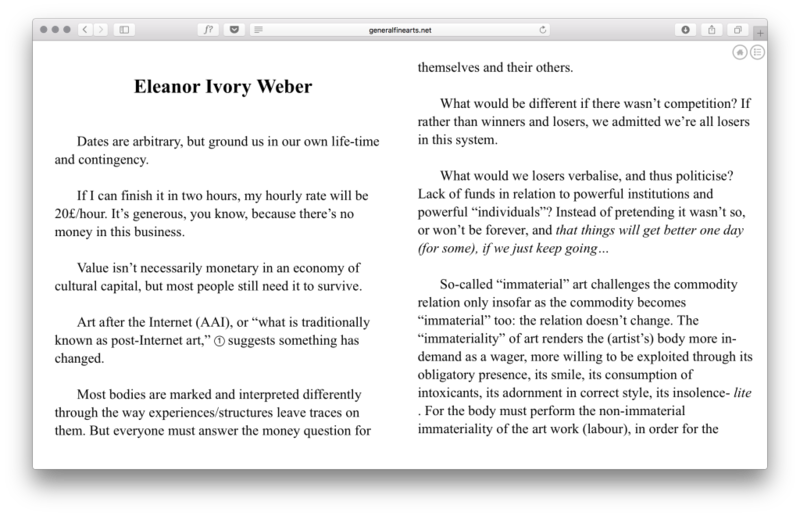 General Fine Arts Volume 2 Issue 1: ‘Value’ was launched at a.m. London on March 5, 2016, and is viewable online. 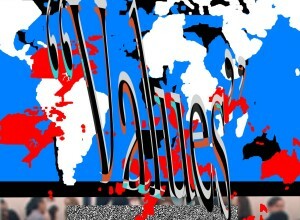 Header image: General Fine Arts Volume 2 Issue 1: ‘Value’, pub. Version House, London.